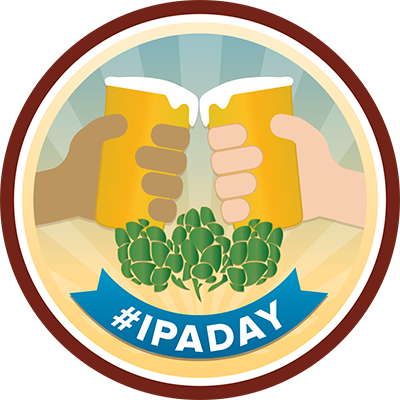 There really is a National Holiday for just about everything these days, but Barren Hill Tavern & Brewery in Lafayette Hill is celebrating a special one this Thursday for National IPA Day! Since it’s re-opening in November of 2013, brewers have been crafting a multitude of one-time only Single Hop IPA’s which have been saved in kegs specifically for this annual beer loving event. For the first time, all eight Belgian IPA’s will be on draft on Thursday, August 7th from 6pm-midnight. The eighth beer in the series, Columbus, will be making it’s big debut that night as well. The beer line for this exclusive event is as follows; Galaxy, Amarillo, Centennial, Chinook, Citra, Nelson Sauvin, and Mandrina Bavaria. This is a great opportunity to enjoy some rare IPA’s in our local area, so grab some friends, family and fellow beer lovers to help celebrate a National Holiday that we can all cheers to! Head Brewer Scott Morrison is a world-renowned brewer and six-time Great American Beer Festival medalist. After less than one year at Barren Hill, Morrison has already taken home the bronze medal in the World Beer Cup for Barren Hill’s beer Biere de Extra. He previously brewed at McKenzie Brewpubs and Dock Street Brewery. Morrison wanted to do a series of Belgian Ales, since that is his specialty, but also to add a different element to them by making them IPA’s. “I enjoy creating new and interesting styles that aren’t readily available in the Philly Market,” said Morrison. Check out more info on Barren Hill and the Beer Line which will be available for one time only this Thursday, August 7th from 6pm-midnight. A true hybrid beer brewed with Belgian yeast, Australian hops & American barley. The Galaxy hops show a strong tropical fruit flavor. Centennial hops create a floral, citrus bitterness. Light amber, hoppy, with a spicy finish from the Belgian yeast. Chinook hops create a spicy piney bitterness. Light, amber in color, and hazy. This is an unfiltered IPA with a dry finish. This single hopped ale was brewed using exclusively Amarillo hops, which are flavorful and yield a flowery, spicy and citrus-like aroma. An amber colored IPA, Nelson Sauvin hops have a strong fruity flavor resembling white wine or crushed grapes. When using a Mandarina Bavariva hops, it adds a strong tangerine, citrus flavor, which adds an intense mandarin orange aroma. An amber colored IPA, using Columbus Hops, which creates a very resiny, bittering hop with sharp, earthy, and woodsy notes. Barren Hill Tavern & Brewery, set in the historic General Lafayette Inn building on the outskirts of Philadelphia in Montgomery County, is a new brewpub from the owners of Devil’s Den and Old Eagle Tavern. Barren Hill Tavern & Brewery offers 30 craft beers on draft and a variety of select cans and bottles. Head Brewer Scott Morrison (five-time winner of GABF, World Beer Cup bronze medalist, formerly of McKenzie Brewing and Dock Street Brewing Co.) brews as many as twelve unique house brews that will also be available at Devil’s Den and Old Eagle Tavern. Executive Chef Paul Trowbridge will develop a menu of beer-inspired food that incorporates flavor and technique into elevated gastropub fare, with house made desserts and pastries crafted by Sous Chef /Pastry Chef Melissa Stout-Greiner. Barren Hill Tavern & Brewery is located at, 646 Germantown Pike in Lafayette Hill. Give them a ring for more info at #484-344-5438, or swing by the website at, http://www.barrenhilltavern.com/. [GABF] medals, and in 2012 Morrison’s Belgian Strong Ale took home a World Beer Cup and recently received the bronze medal in the World Beer Cup for Barren Hill’s beer Biere de Extra. Erin Wallace owns and operates three beer-related establishments in Philadelphia and the Philadelphia suburbs, including Old Eagle Tavern in Manayunk, Devil’s Den in South Philadelphia, and Barren Hill Tavern & Brewery in Lafayette Hill. Wallace attended Baltimore School for the Arts, and Moore College of Art and Design in Philadelphia. Her love for beer developed from her time as a server and bartender in various Philadelphia bars and restaurants. She opened Old Eagle Tavern 11 years ago with a limited knowledge of craft beer, but an immense appreciation for the art of beer drinking. Devil’s Den has been open since 2008. Wallace is a self-taught beer connoisseur, but has an extensive knowledge of local and imported craft beers and is noted as one of Philadelphia’s top craft beer bar owners. Her bars/restaurants have received accolades from Philadelphia Magazine, The Drink Nation, PHL17 Hot List, Zagat, and more, and have been noted for their various recurring beer-centric events, impeccable menus, and extensive beer lists. In 2010, Wallace was elected to the board of Philly Beer Week and remains the only female member of the board. 3rd Annual Daniel B. Allanoff Memorial Concert!